The News Sunday: What made you decide to go around the world on a cycle? Emily Chappell: Well, I read this book by Alastair Humphreys and I was so inspired that I wrote to him that I meant to follow his example. He was even kind enough to ask me over and he mentioned me in his blog as well. There can be a few more edifying sights than coming across an article or a feature in the international media which for a change brings out the positive side of our otherwise dysfunctional country. *Exhibition A.Q Arif and Farrukh Shahab at Ocean Art Galleries, 170-F Raja Centre, Main Market, Gulberg till March 8. *A 3-Day Book Fair at Government College University’s Oval Ground from Wed, March 7 to Fri, March 9. Last year’s deadly virus attack of dengue took 349 lives in the whole Punjab and 297 only in Lahore, according to official records. This year with the advent of summer the virus is active again. So far 82 new cases have been reported. Though it was hard to get any response from the telephonic registration centers of Lahore’s latest marathon under Punjab Sports Board scheduled this Sunday (today), scores of people seemed interested in getting listed to participate in the Lahore’s marathon titled “Punjab Marathon Race” but sans women. From the tomb to the next stop, the ambience surrounding the road doesn’t change much, only to become denser, and congested. Bigger shops start emerging which means lesser room on the road to drive. Whatever space that remains for one to peacefully travel on is taken over by the random wagon-stops. My original plan was to write a book because the book would pretty much write itself. It seemed like the obvious thing because I write a lot any way but have noticed that plans have a tendency to fall apart. And the longer that I’ve been on the road, the more I have been thinking that maybe I wouldn’t write a book. And it is difficult because everybody I meet tells me that I should write a book. I do blog about the bike trip and a lot of people say that of course it’s going to grow into a book. Part of me thinks it would be nice to write a book, I would like to say that I am an author. But I have already written most of it into the blog and a book would require just going over that again. Actually I am not that unique; there are loads of book on this topic, and lots of people are writing across the continents. TNS: But are there any women among them? I have been reading Paul Theroux and there is quite a lot of humour at the expense of the peculiar people he meets. TNS: So at the end of the day what’s it in this experience for you? EC: Its hard to say, maybe I will write a book and if it turns out different from the blog that would be great. It might not. But I have noticed that a lot of times I am resisting to put my cycling experience into words which is unusual for me because I even think in sentences…I will be riding along experiencing something and wondering how to put this experience into words. I think I am experimenting and experiencing by not writing or thinking but just doing. TNS: So you feel that there is an essential dichotomy between doing and thinking? EC: Maybe there is. If you think too much about doing something then sometimes we create obstacles for ourselves. For getting things done, there seems to be another intelligence at work, or maybe I ought to call it good reflexes. The body sometimes knows what it is supposed to do without well worded commands. One just becomes aware of one’s body to that extent that you just know what sort of movement is required. Maybe it’s what we call kinesthetic intelligence. It is not something that you can describe in words because in its very nature it eludes words. TNS: Give it a try? EC: Back in London, I would ride very fast through very busy traffic, very heavy congested traffic and you have to ride in a very acrobatic kind of way, and you can’t really intellectualise that a car is there; it is a narrow gap and I would be calculating how to get through that narrow gap and which angle I am going to take. It takes you a while to learn for the first two weeks…and then thinking I would not quite be able to go through those cars and slow down. But eventually you learn to read the traffic. You learn to read the flow of it and interpret it. Sometimes I really surprise myself and I would be thinking, “Oh! How am I going to get through this narrow gap?” and then I am through it. I would not even know how my body had done that because it would not involve my brain or any conscious decision making. I think I am in a fairly unique position because I come from a totally academic background and I started doing this totally physical job of being a cycle courier. So I think about how I get my body to get things done. And getting things done is not always a question of reflexes; it is a question of willpower too. There is a thoughtful dimension of getting things done, in other words, how not to be a procrastinator. Perfectly healthy people with good reflexes will say how lazy they are; absolving themselves from doing anything worthwhile. To a certain extent I can understand what is happening in my mind when I am getting things done and I can put this physical experience into words although I am always struggling with it. So the answer is may be maybe I should write a book about it. I am frustrated because a lot of the stuff that I want to write about just doesn’t suit words. Still, I can try to explain what it means to be a cycle courier who takes on the world. At the end, maybe you can prove the world is — after all is said and done — a friendly place. Though this conclusion ought to come with a do-not-try-this-stuff-at-home sort of warning. TNS: Tell me how are you devising your route, your travelling plans? EC: I don’t really know. So far I am thinking of roughly next four years and I am planning as I go along. I’m planning to go the long route through all the continents. I mean to go to China. I will be missing India for two reasons mainly. For one thing, I have lived there and logistically, once I get into India its impossible to get out again through a land route, there’s no border with China that you can cross, you can cross into Tibet through Nepal but then you are not allowed to travel on your own. From China I don’t know if I am going to see a bit of Russia or Japan or Mongolia because I haven’t decided yet, I’m just riding east but my aim is to get to somewhere on the east coast of Asia from where I can then get across to North America. So possibly I might end up at Vladivostok or Japan or maybe mainland China. TNS: With an itinerary like this I shouldn’t ask much about your plans, its more like you are taking each day as it comes. EC: Yes, I think plans have a tendency to sort themselves out, plans are improvisations. TNS: One more thing, how do you feel about taking four years out of your life to do this? EC: I really don’t see these four years as a vertical slash upon the horizontal graph called life. It’s not an aberration, these four years — these are my life — my normal life. Note: I would like to mention here that Emily did her thesis dissertation upon “A Suitable Boy” and Vikram Seth is one of her favourite authors. Recently, Peter Oborne, Daily Telegraph’s chief political commentator, in an article “Are we wrong about Pakistan?” written for the Sunday Telegraph was all praise for the hospitality and high spirits of the Pakistani nation which he gauged on his visit to the country last year. The piece of writing came to me as breath of fresh air keeping in view the negativity which is usually associated with the country on the international front. For years the media has savaged the people of Pakistan with generalisations and unflattering metaphors. These were the days when our country was going through a bad patch due to the OBL incident and once again we were a laughing stock the world over. Once again the international media pounced on an opportunity provided by none other than ourselves to ridicule us and play hard on the long prevailing prejudice against us. When things are dry the slimmest opportunity is worth a try. With the two gentlemen as our guests we sensed an opportunity, if there ever was one, of showing them the country from the perspective of the people rather than that of the politicians, landlords and religious zealots. We could very well blame our government in failing to portray the softer side of the country on the international level but this does not mean that we the citizens should wait for a messiah and do it for us. It is always a good sight when I see young Pakistani students showing the country around to their foreign friends and showing the other side of the coin to them. Thus, they are provided with an alternative narrative to that parlayed in the international media. *Celebrating Spring 2012 at Alhamra, Gaddafi Stadium on Mar 11. Registration for Child Art Competition till Mar 10. *Open Mic at Institute for Peace peace and Secular Studies (IPPS) on Wednesday at 6:00 pm. People not just share intellectual works like essays, papers, articles, poetry but also other talents like songs, music compositions, monologues etc. *Stamp Collectors moot at Alhamra Arts Council, The Mall today at 11:30 am. *The first MUN in FC College. 16th Feb is the last date for online registrations. To prevent casualties, the Punjab Government has started larvacidal spray, new recruitments, establishment of new dengue wards, campaigns for public awareness and much more. Despite these steps there still remain some fatal loopholes like during a visit to Mental Hospital stagnant water was seen in parks and animal cage, which can be a source of mosquito breeding. One of the major moves is that five posts of additional director generals will be filled only for dengue which will be director environment, director training, director operations, director for information technology and director partnership. Two directors have been posted and others will be transferred from different places and no new recruitment will be made. Dengue Surveillance Incharge Dr. Tayyab says, “261 spray men, 130 communal disease control officers and 292 lady health workers (LHV) will be recruited. For LHVs, interviews have been conducted and for the rest recruitment orders have been issued. Soon the government will place ads.” He says further posts of 86 environment officers will be issued through Punjab Public Service Commission. He says 120 officers of Health department have visited Thailand for training and have been posted in various localities for training further officials. From among these trained hands Director Training Dr Zia will deliver lecture on UC level. He says a female has been given training in Thailand to supervise school health and nutrition and has started delivering awareness lectures in schools and colleges particularly in girls’ institutions. Dr. Tayyab says, “We have arranged ten dengue brigade vans on which wireless system will be installed. These vans will report directly to DCO. He says further posts of 86 environment inspectors will be issued through Punjab Public Service Commission (PPSC). He says that these inspectors would be awarded special powers like arresting culprits and charging the guilty with heavy challans on the spot. He says, “Presently, we have medicine in abundance in which major medicines are Delta metherine 55000kg and Teleforce 75000kg. New equipment have been imported from various countries and larvicidal activity is carried out at different locations in collaboration with the district government, while for all this government has passed a budget of Rs 60 crore for six months. The government may shut down all the service stations in epidemic season if need be, like previous year. 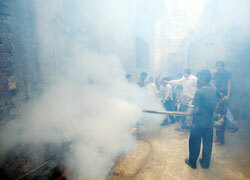 This year the chief minister has planned spray through a special aircraft while targeted spray has been started. Naveed Chaudhry, Pakistan People’s Party (PPP) representative and Punjab coordinator for President terms this sheer eyewash and says, “Last year substandard spray was used which instead of killing mosquitoes spread pollution and respiratory diseases.” He says Punjab government is just struggling for political mileage, garbage heaps are seen everywhere which are main source of mosquitoes’ habitat. A secretary union council, Shakeel Ahmad tells TNS that we have assigned spraying to four men who are doing their job at all such places where larvae is suspected. Punjab Government with the collaboration of World Health Organisation (WHO) also held an International Conference on Dengue and its Control from 27 to 29 February in Lahore where experts discussed last year’s loopholes and presented recommendations to Chief Minister. Raheela Khadim Hussain, a Pakistan Muslim League-Nawaz (PML-N) MPA says for public awareness we are selecting volunteers from all muhallas they might be teachers, students or anyone else. They would guide the spray men in conducting spray and distribute pamphlets but we will avoid fogging as much as possible for it is injurious to health. “The government is planning a cleaning campaign with the collaboration of a Turkish company. Tyre shops have been already warned and proper drainage system has been arranged for homes. “In case of Dengue Fever, proper clothing, mosquito repellent, and netting can help reduce exposure to mosquitoes. Travelling during periods of minimal mosquito activity can also be helpful. 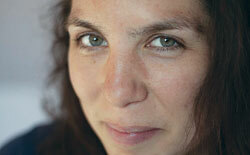 Mosquito abetment programs may reduce the risk of infection,” she suggested. “On tehsil levels committees have been formed in all 36 towns. Every week their meeting is held and strategy for future is planned. Dengue kits have been supplied in all the government hospitals,” she added. In the same conference a WHO scientist from India, Dr. Raman Velayudhan, says here government has good strategy for dengue control, everything is almost complete and political will and support are there — just strong public participation is required. Saba Qureshi, the media person for WHO, says media should not report without proof because it does nothing except for terrifying the public. She says labs must not be overcrowded because an already infected dengue patient can be cause of dengue for others, so the issue of overcrowded labs must be addressed. The elimination of dengue is the responsibility of each and every citizen — in villages and towns. The Department of Health, its regional centers and allied agencies are impotent without people’s help. To rely on these agencies alone, without doing our share, will be a costly mistake. The race, followed by a family fun race, covering around 3.5 kilometer distance, is part of the more than a weeklong festivity of the Punjab Sports Board in the wake of coming spring to wake up the youth of the province and have fun through sports and athletics. Thousands have registered for this man-exclusive marathon which will be held on the canal road today while scores are joining the family fun race event at Main Boulevard Gulberg at noon. Around 7,500 boys and girls from all nine divisions of the Punjab province participated in the parade at National Hockey Stadium while the stadium witnessed around 35,000 applauding spectators. The city is full of colours for the past few days, especially the Gaddafi stadium surroundings where these competitions have been held. The scheduled marathon is not international. It has given a community activity to the people of Lahore as a moment of relief and relaxation and enjoyment where they can cheer up for a while, says Inaam Ahmed, 28, a young Lahori who has registered himself for the marathon race. Chairman of the organising committee of the marathon Rana Mashood says the 17-kilometre event is only for male sportsmen. “It will not be a mixed race. We will be accommodating women in the family fun race which will be exclusively a family event.” He says so far thousands of participants have registered for both the events and they were expecting mass participation in main and family fun race. 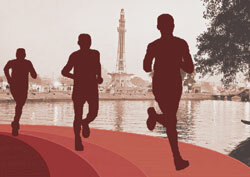 Marathon race started in Lahore in 2004 with the idea of staging an international marathon in Lahore. However, the religious fundamentalists opposed mixed run. They chose the city of Lahore in the backdrop of its historical monuments, rich culture and heritage as an obvious choice for the country’s first ever International Marathon Race in the provincial metropolis. Later in 2005, when the mixed international run in Lahore was threatened by the religious extremists and the local government, which followed by a defensive campaign by civil society groups and activists who held a mixed run against the will of the government, they were arrested, baton charged and harassed. The then government of the Punjab agreed to have an international marathon which lasted till 2007 and became an identity of the city of Lahore with huge participation from the professional athletes across the globe. In 2008, the race was again scheduled but positioned because of security after the killing of former Prime Minister Benazir Bhutto, Masood Hasan, one of the event mangers of that race tells The News on Sunday. The then marathon has a full back of the Punjab government to conduct it at international level but now security has marred all such healthy activities engaging lot of people and brining them on the roads and fields zealously. He says as an activity it was great and this Sunday’s smaller and local marathon may be a new beginning if it goes well. He is surprised that why women are excluded from this race. He says the safety of the people has become an issue. “Having a marathon is always also meant to expose the city. If there is marathon in Chicago it also shows architecture of Chicago. Similarly, if there is marathon in Lahore, ideally, it should also expose Lahore’s architect and landscape, which we cannot show because of the security concerns. Sadly, we may have such marathons, which are good, but we cannot have exposure of culture this way. He says that the international membership of Pakistan has also expired as it could not held that event latter after 2007. Rafey Alam, activist and columnist, terms such activities really healthy and good for the citizens and the city. “Public activity is amazingly healthy where this is a marathon, car race, bicycle race or any other event,” he says, adding, “Such features should be make a regular component of city activities engaging community in positive and healthy things. It develops inter action and it takes out people from driving the cars and remained stuck in traffic but have a relaxing times for some moments.” It also gives equal opportunities to all. The city activities are always helpful for a better life, he says, while citing one city of Japan, which had a very high crime rate. The administration of the city started encouraging gardening and plantation outside the homes and on the sides of the roads. Resultantly, people started enjoying this greenery while sitting outside their homes which kept them alive and alert and the crime rate was reduced. Not far from the dome, one notices a few tall minarets, exhibiting a unique blend of traditional architecture with modern motifs. These minarets herald the arrival of the studios of Lahore. The first in the line is the Shah Noor Studio. But before we talk about the Shah Noor Studio, let us talk a little about the development of the film industry in Lahore. In 1923, a man named J.K Mehta bought the first camera in the city. He was a servant of the Railways, where he used to make the Railways news reel. He made his own film company by the name of Premier Film Company which made its first movie by the name of ‘Daughter of Today’. The actors for the movie were A.R Kardat, Walayat Begum, M Ismael, and Ghulam Qadir. The producer for the movie was Shankar Dev Arya. Later Hamnas Roy, a European educated lad, along with his two brothers made the Great Eastern Film Corporation. They made a movie named ‘Light of Asia’ whose story was taken by a long English poem by Mathew Arnold. This movie was based on Mahatma Buddha. Around 1924, the first film studio was made in Lahore at the place where today the shopping centre of Panorama stands, by the Great Eastern Film Corporation. The Shah Noor Studio today in its dilapidated state exhibits the poor state of the Pakistani film industry. However, it once was the Ka’aba of the Pakistani movie industry. Pakistani movies at one point in time were competing with Indian ones and this studio had a prominent role to play in that. The Shah Noor Studio was constructed in 1945 by R.L Shauri. It had two shooting floors. However, it was looted and destroyed during the riots of 1947. Just one of its buildings escaped the pillage, which stayed empty till 1948. In 1948, when Syed Shaukat Hussain Rizvi and Madam Noor Jahan came from Bombay, they got this studio allotted to themselves and named it the Shah Noor Studio on their initials. This was to be the first studio on Multan Road. They renovated the studio and under them the studio saw its peak. When the children of Shah and Noor grew up property disputes began. The studio was divided into three parts. The eldest brother got the two shooting floors which he converted into a warehouse. The second brother razed the shooting floor that he had gotten and made an outdoor studio whereas the third one gave his share to the income-tax office. Now there is just one recording hall left, which is also dysfunctional. Some famous movies made at the studio are Khandan and Yakke Wali. 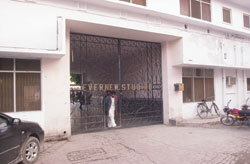 Next to the Shah Noor Studio is the famous Ever New Studio. Both these studios next to each other underscore the significance of the Multan Road in the development of Pakistani film industry. Besides these two studios, there are a few other studios located on the road. One reason why so many studios are located on the Multan Road is that one needs a lot of vacant land to commence the vocation of a studio, and Multan Road during the majority years of Pakistan remained as an under-developed area with only a pocket of villages here and there, the rest was covered by jungle. It is also the reason why so many villages here are Fort towns. The Ever New Studio was the first studio amongst a myriad of them that were opened on Multan Road after the creation of Pakistan. Formally inaugurated in 1956, it was the property of Agha G. H. Gul. At that juncture the Ever New Studio was able to gather together the latest technology in the field of cinema to become the most famous studio in Lahore. Once came a time when 60 per cent of the studio work of Lahore was being done here. Right about the time when this studio was developing, there was also another studio on the Ferozpur Road which belonged to Malka Pukhraj who had imported a top quality sound system. However, by the time the sound system reached Lahore, her studio had been auctioned. Agha G. H. Gul took benefit from the fate of the sold studio and bought the sound system for his one. Initially, the studio was composed of two shooting floors which were later expanded to a total of six. There were two recording rooms, which included 24 track sound systems. There was one dubbing hall, two cinema halls, and a computerised lab. There were 50 office setups for different film companies. There was also space for out-door shooting. The Ever New Studio till date has managed to retain its position as one of the most prestigious studios in the city. However, its technology has not advanced as quickly as one would like to see or even had expected in the initial years of this studio. Nonetheless, behind the sorry state of the present film industry of Pakistan, the Ever New Studio stands as a shining past of cinema in Pakistan and promises with all its potentials to revive the film industry to bring it to international standards with some investment.